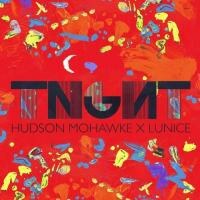 Hudson Mohawke and Lunice come together for 2012's most unexpected -- and welcome -- entry into the club's current infatuation with trap rap's 808 abuse. Despite hip-hop's development having long been directly tied to electronic equipment and the advancement of such devices as samplers, Digital Audio Workstations and turntables, its inclusion in discussions of forms like EDM, house, dubstep and even just the permutations within those three umbrella terms has mostly been non-existent. Instrumental hip-hop can be shrugged off as beats without rappers, intended only for the most beat-loving of hip-hoppers. But as popular rap has become more synth-focused and club-driven than anything but it's earliest incarnations, and the underground mixtape scene has been overrun with producers whipping up variations of the trap music Shawty Redd, Drumma Boy, Zaytoven and Lex Luger have been pioneering over the past half-decade, it's felt inevitable that someone in the EDM scene would try to capitalize. TNGHT, an overseas collaboration between 22-year old Canadian Luncie and 26-year-old Scot Hudson Mohawke, is the project that attempts to calcify this crossroads moment between two formerly distinct movements. Mad Decent producers like Flosstradamus and Dillon Francis have poked at trap music from that label's usual brand of detached goofiness, and ARAAB Muzik's Electronic Dream album is certainly the scene's direct catalyst, but until this TNGHT EP it's been a little difficult to surmise how much of the toe-dipping of guys like Tom Richman and RL Grime is inspired by absurdity and spectacle of trap's initial lure rather than the auspicious beginnings of EDM's most recent future. Again and again, TNGHT confirms the latter to be more evident. Plenty of touchstones from the wonky/purple sound scenes, as well as more basic house treatments, combine mercilessly with Luncie and HudMo's 808 programming to create some of the most pounding, head rattling beats of the year. "Top Floor" opens the EP fairly safely, with a Mr. Bangladesh-style head nodder that's just a few 808 snare trills and pair of ambient dubstep breakdowns away from the "Lemonade" and "A Milli" production star. But with an EP at just under 16 minutes long, TNGHT quickly becomes eager to show off their adventurous side. "Gooooo" taps into the gamer nostalgia of purple sound with a beat that sounds like Samus Aran took a seat in the Total Recall chair and was planted in a Matrix-like goth club overseen by Shao Khan. It's manic energy bleeds healthily into "Higher Ground", the EP's single and a track that does everything in its power to whittle Nero's bombastic house-step anthems to their meatiest elements before bathing them in anarchist trap philosophies like handclaps, Drumma Boy's signature rising synth and HBCU brass. Perhaps what's most pleasurable about this EP is that this duo has married aesthetics of two culturally distinct platforms into a very synthetic, parasitical whole. Hudson Mohawke and Lunice aren't playing spot the influence with us or pointing at Atlanta groups like 1017 Brick Squad and Duct Tape Entertainment with ironic laughter; they're simply hedging their bets on the music they've made a name for themselves on in the pursuit of something they find viscerally enjoyable and of-the-times. It's this adventure that finds the old AIM sound effect of a baby cooing serving as the backbone to "Bugg'n", a track that sounds like Diddy Kong got ahold of a 9MM on the honeycomb levels, or "Easy Easy", which finds Super Mario struggling to figure out the complexities of an acid trip as he climbs Bowser's final castle. I'm still iffy on these guys' stated potential for infiltrating the mainstream hip-hop scene (Hudson Mohawke has previously made inroads on this via Chris Brown's "Your Body" and Kanye West's "Mercy", however), but even if TNGHT doesn't feel like a particularly rap-able EP (we'll find out soon enough, the duo says) it's a totally rambunctious 16 minutes. The sort that reminds you of the good old days when HudMo and Joker, among others, were dropping EPs every few months that felt like they just might change everything.